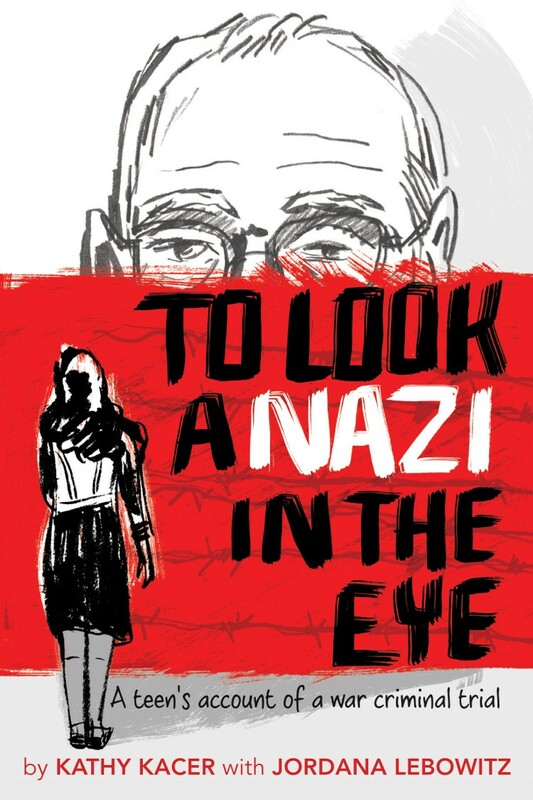 To Look a Nazi in the Eye: A Teen’s Account of a War Criminal Trial, by Kathy Kacer with Jordana Lebowitz, Second Story Press, 2017, 231 pp. The Whole Megillah (TWM): What drew you to this topic? Kathy Kacer (KK): I had been following the trial of Oskar Groening which was worldwide news. I was intrigued with the notion of bringing a Nazi war criminal to trial in my time. I thought a lot about what it meant for justice to be served after all these years. I wanted to write about the trial but was struggling to figure out a way to do that for the young audience that I usually write for. Then I read an article in a local paper about Jordana and her trip to Germany to be an observer at the trial. I thought Jordana’s journey would be the perfect vehicle within which to write this book. TWM: How did collaborating with Jordana come about? KK: I simply contacted Jordana – found her on Facebook! I asked if she wanted to meet with me so that I could interview her about the trial and her experience of having been there. She agreed to meet with me; it turned out that she had read several of my books when she was younger. We began to meet on a regular basis – me, asking a million questions, and Jordana digging deep to explore what it meant for her to be there at the trial. TWM: Please describe your approach to the research. KK: In this case, I was very fortunate. There was a tremendous amount that was being written about the Groening trial. Every major newspaper around the world had sent reporters to Germany. And I had access to all of those papers. In addition, Groening had done a series of interviews on BBC and for a book written by Laurence Rees. In it, he described in detail his role in Auschwitz during the war. Those were valuable sources for me to be able to re-create Groening’s testimony. I also interviewed the three survivors from Toronto who testified during the trial. All of that, along with Jordana’s blogs and stories about her experience of being there provided a wealth of information for me to draw on. TWM: Why do you think it’s important to write about/share a teen’s perspective? KK: All of my books except for one have been written for a middle grade and YA audience. I love writing for this age group – challenging young people to think about important moral issues. This trial raised all kinds of questions that I thought young people might grapple with; What did it mean to bring an aging, sick man to trial after all these years? Could a sentence of four years provide justice? What does it mean if Groening never serves any prison time? And so on, and so on. The best way to write for teens is to share a teen’s story – someone young people can relate to. Jordana was just that person. TWM: What was the most challenging aspect? The most satisfying? KK: I guess the biggest challenge was to make sure that everyone’s perspective was being fairly and accurately portrayed in this book – the survivors, Jordana, the attorney, Groening. There was a lot of information to piece through and bring together! I wanted the survivors to read early drafts of the book so that they too were “on board” with everything I had written. I’d say that the most satisfying part of this project was having the chance to meet and get to know Jordana. She is a most impressive young woman – smart, intuitive, courageous. She continues to inspire me with her ideas, drive, and desire to make a difference in Holocaust education. TWM: Jordana, let’s turn it over to you. What was your greatest challenge is writing your account? The most satisfying aspect? 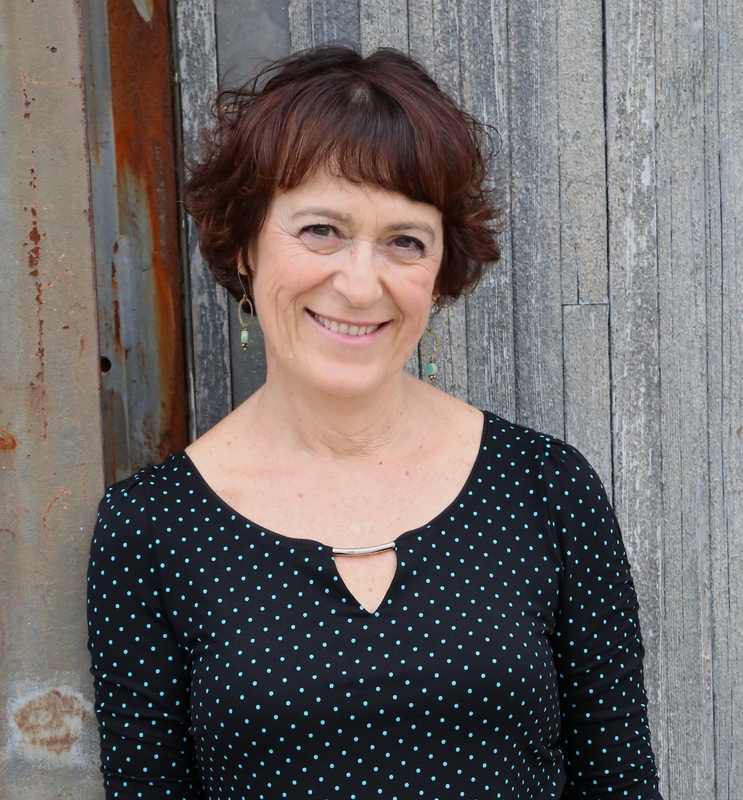 Jordana Lebowitz (JL): My greatest challenge in writing my account was trying to put into words and adequately describe all of the complexities, moral issues and emotions that arose during this time. I felt that there was a lot at stake in writing this account because it is not just my story, it is the story of the survivors, the story of Groening, the story of two nations fighting for justice — one chained by the nightmares of helplessness and another doomed to guilt — and it is the story of humanity in pursuance of bettering the world. That’s a lot of pressure! I wanted it to be presented in a way that did this event justice and in a way that people could understand, relate to, and learn from and Kathy did an amazing job of achieving this outcome! The most satisfying aspect is being able to share the important universal messages of human rights advocacy, holocaust remembrance and justice for human rights violators and victims with the world. I hope that I can inspire other young people to pursue their passions and be prepared to advocate for human rights in the future. TWM: What was the greatest lesson you learned by attending the trial of Oskar Groening? JL: I learned so many lessons corresponding to so many different questions which you can read about in the book! I think the most important lesson that I learned though, and which I was witness to first hand, is that time exists on a continuum. That is to say that every period is connected: past, present and future. We must remember the past in order to learn from it, be aware of what is going on in the present to stop injustices from occurring in our midst and build a better future with the tools that we have acquired from learning from the past and advocating in the present. Winston Churchill says: those who fail to learn from history are doomed to repeat it. This trial was not merely addressing history, it was very much applicable to the present and set a precedent for the future. From this trial, I gained the knowledge and sense of responsibility rooted in past tragedy to combat human rights violations in the present and help create a better future. We, the generation of gadgets and gizmos, of smartphones and social media, can ensure that such atrocities never again transpire. Our ancestor’s voices were shattered during the Holocaust and those belonging to many bystanders, were never utilized. Now is the time to harness our freedom to speak, to teach, to tolerate; to stand for justice in every realm. We are one human nation with one beating heart. We are responsible for each other. TWM: What has been your greatest lesson in blogging about it for the Simon Wiesenthal Center? JL: The greatest lesson I learned from blogging about it for the Simon Wiesenthal Center is that information spreads fast! The power of a blog (or any online material for that matter) to spread information and mobilize people is tremendous. One night I sent in my blog post by the next morning it had been published on the Simon Wiesenthal website and set out to their donors, shared between people and forwarded to a man who was at the trial with me. This man then informed me the morning after I had written the post, that he had read it and provided me with his thoughts. This showed me that now more than ever before, one person has the power to make a difference by spreading truth and words of justice to the world with just one click. I want to motivate people to share their own voices and make that difference. TWM: One last question, Jordana. What has been your greatest lesson in writing this book with Kathy? JL: Well, I learned a lot about the hard work that goes into writing a book! I thought she would write it and within a few months it would be in stores! I was greatly mistaken! This process has taken over two years at this point from the first time we met until publishing day. But a book is solid. A book is powerful. It has the ability to touch people, to inspire people, to motivate change. Kathy’s books have already inspired countless youth to make a difference in different ways and I hope this book will do the same. Our words are our freedom and we must utilize them to speak for those who cannot. We are the voice that will echo through the hallways of history and shape the patterns of reality itself. This entry was posted in Authors and tagged jordana lebowitz, kathy kacer, oskar groening, Second Story Press, teen holocaust literature, to look a nazi in the eye. Bookmark the permalink. Appreciations for this interview – double interview. Powerful. Recommending it to my adult group & Library. This sounds like a must read. What an interesting journey to this book. Thanks for another interesting interview.